Below are some mini-reviews of a few of the Joy Sales Legendary Collection DVD releases in Hong Kong. All are anamorphic widescreen original language with English subtitles and all-region so are worth picking up at the current cheap prices as they will soon be out of print. Starring: Sammo Hung, Frankie Chan, Deannie Yip. Directed by: Sammo Hung. A transition film for Sammo Hung and Hong Kong movies in general as the switch from traditional kung fu movies to modern day action films came into place. 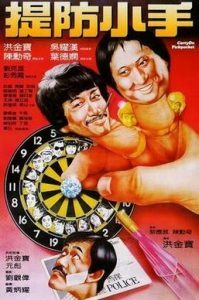 Sammo and Frankie star as two master pickpockets who under the guidance of master Kim (Lau hak-suen) and his daughter ann (pang sau-ha) inadvertently steal some diamonds from a bunch of gangsters. When the gangsters find out all hell is let loose as they want their diamonds back and with the police also on the trail, it leads to a brutal climax on board a ship. A little gem of a film from Sammo Hung, mixing action with some very funny humour. Look out for his fight in a disco and be prepared for some very violent action at the climax. An under-rated classic. Starring: Wei Pei, Candy Wen, Wai Wang. Directed by: Lee Wing Cheung. Wei Pei is probably best known in the west as one of the original Five Venoms or as Jackie Chan’s classmate in Young Master. After toiling at Shaw Brothers for a number of years he moved to Golden Harvest and this was his only starring role. Here he plays a guy who is cocky and bad mannered but basically good at heart. 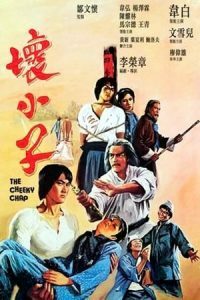 After a dispute with some local hoodlums, he lends a helping hand to Phoenix (Man Suet Yee) and her debt-ridden father, but Phoenix’s father eventually dies in the hands of his debtors, the notorious Sha brothers. Incensed by Ma’s constant interference, Au and the Sha brothers decide to team up, laying a trap to take him out. The film is a mixed bag, the character played by Wei Pei is hard to like because of his attitude and behaviour but the action is pretty good the highlight being the climactic fight. Starring: Waise Lee, Joey Wong, Phillip Kwok. Directed by: Johnnie To / Andrew Kam. Before director Johnnie To became famous for his stylish gangster films he made a few gems and this violent action thriller is one of them. 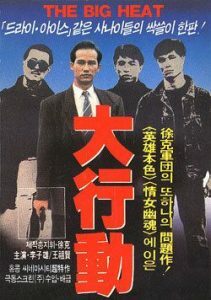 A gritty 80’s crime drama Big Heat is about Wong (Waise Lee) is about to hand in his resignation and settle down with Maggie (Betty Mak); an accident has been causing the deterioration of the nerves in his hand and Wong wants to quit the police force, before he can no longer pull a trigger. however, when he hears about the murder of his old partner, he postpones his retirement and sets out for revenge. Good story and some great if very violent and bloody action in the shootout scenes, the intense nature of the film makes it a must-see for any fans of the heroic bloodshed genre.